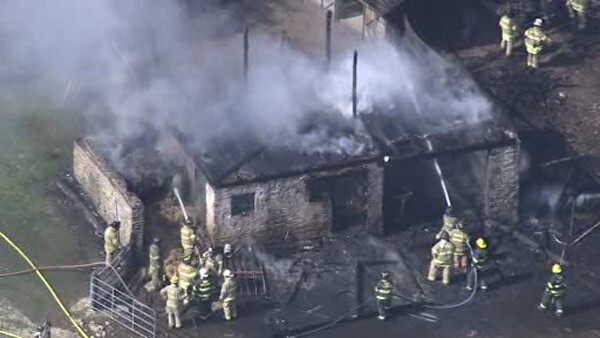 EAST WHITELAND TWP., Pa. (WPVI) -- Chester County authorities battled a barn fire in East Whiteland Township. The fire started shortly before 3 p.m. Friday at Cantor Hill Farms in the 2100 block of Valley Hill Road. It appears there were no animals in the barn at the time of the fire.